Forward thinking, experience, unique appeal. Every uneven detail becomes a unique character, every difference has a key role to play, every piece is different form the others in terms of pattern and nuance. 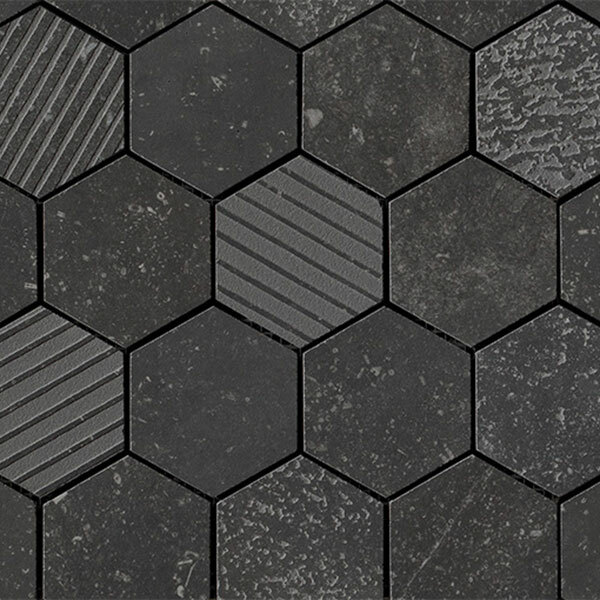 Matted hexagon mosaic porcelain tiles. 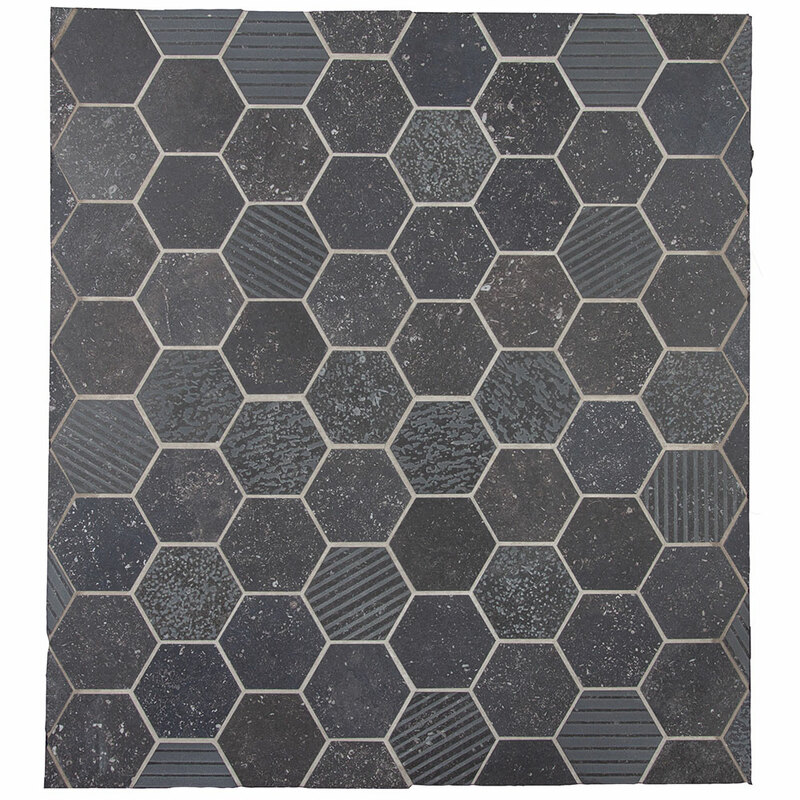 Nominal Size: Each mat is 10"x10"